ROOSEVELT, Franklin D. (1882-1945), 32nd U.S. President, 1914 signed, typewritten letter headed "The Assistant Secretary of the Navy" to Martin H.Glynn, Governor of New York. 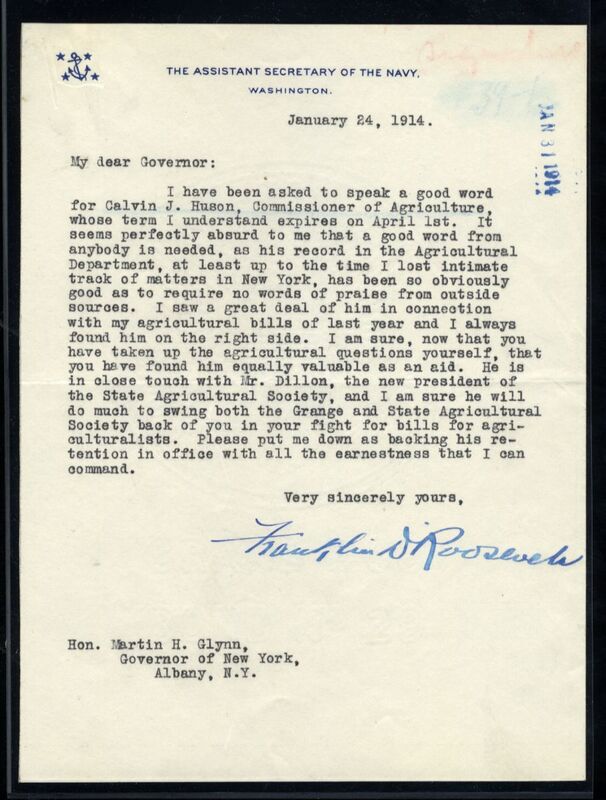 Roosevelt writes: "My dear Governor: I have been asked to speak a good word for Calvin J. Hudson, Commissioner of Agriculture... I am sure he will do much to swing both the Grange and State Agricultural Society back behind you and your fight for bills for agriculturalists...", v.f.